GREY! Multi Owl Print Crossbody Satchel £15.99! Lovely GIFT! BUY NOW PLEASE….. This cross body satchel has room for all your essentials. Featuring an all-over owl print, a flap-over opening and twin magnetic button fastening. Wear on the shoulder or across the body with the adjustable shoulder strap. NEW! RED BAGS! Multi Owl Print Crossbody Satchel £15.99! NEW IN! 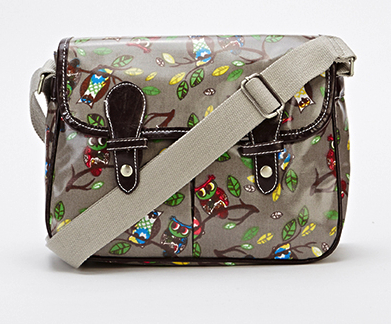 BLACK – Crossbody Owl Print Satchel £15.99!